Manufacturing companies are more and more required to implement intelligent infrastructures to handle the dynamic nature of demands and make quick decisions. Very limited research has been reported on holonic control in a flow-line type manufacturing systems such as welding cells. In this paper we present a conceptual design of an intelligent welding cell using SysML (Systems Modeling Language). The holonic paradigm has been adopted to check the different configurations desired by the customers, which allows users to pre-define and pre-design the different configurations of the welding cell. 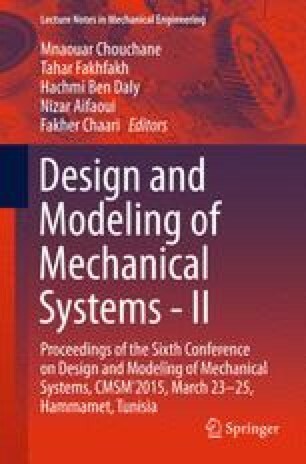 The top-down modeling method based on SysML and the holonic control paradigm allows designers to define the different requirements of the manufacturing system and generate the appropriate dynamic configurations without complicating the design process. The approach has been applied to the case of a welding cell of the remedial parts of scaffolding systems. The objective in this case is to adapt the manufacturing system to the client needs for using either cylindrical or oval cross sectional traverse parts, and therefore to respond to the manufacturing company needs in terms of flexibility and productivity.